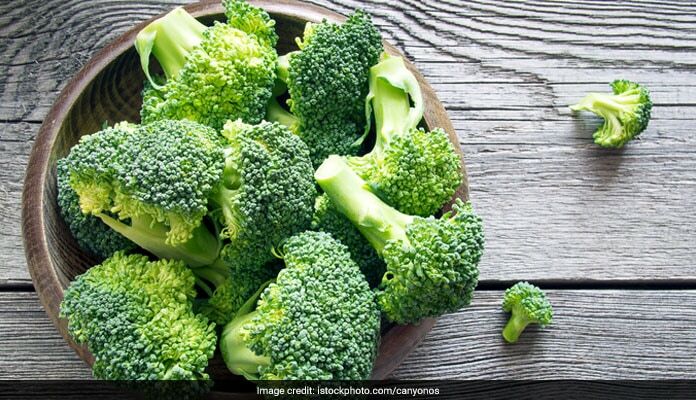 Sulforaphane, a compound found in broccoli could be a new treatment for type 2 diabetes as it is believed to lower blood sugar levels by 10%. Sulforaphane is a chemical found in broccoli. It lowers blood sugar glucose levels by 10%. Broccoli extract is complementary to metformin, not competitive. 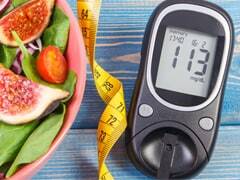 Diabetes is a chronic disease that occurs either when the pancreas does not produce enough insulin or when the body cannot effectively use the insulin it produces. Insulin, a hormone that regulates blood sugar, gives us the energy that we need to live. If it cannot get into the cells to be burned as energy, sugar builds up to harmful levels in the blood. Over time, high blood sugar can seriously compromise every major organ system in the body, causing heart attacks, strokes, nerve damage, kidney failure, blindness, impotence and infections that can lead to amputations. India had 69.2 million people living with diabetes (8.7%) as per the 2015 data. Of these, it remained undiagnosed in more than 36 million people. A concentrated extract obtained from broccoli, a green vegetable which we have been told to consume since childhood , has recently been found to reduce blood sugar levels by up to 10% in patients with type 2 diabetes, and could provide an unexpected and indispensable treatment for the condition. While many green vegetables are known to prevent diabetes, broccoli seems to be exceptionally good at it. A chemical found in the sprouts called sulforaphane was found to reduce glucose levels in diabetic rats. A team of researchers led by Anders Rosengren of the University of Gothenburg in Sweden, have now identified a compound which could counter this disease associated gene expression and its effect also carries over to human patients. He explained: 'Sulforaphane induces an antioxidant response. It has previously been studied clinically for cancer and inflammatory diseases but not implicated in type 2 diabetes'. To test the theory, his team gave 97 people with type 2 diabetes a concentrated dose of sulforaphane every day for three months, or a placebo.Three people out of all, in the trial continued taking metformin. Those who didn't take metformin were able to control their condition relatively well without it. They, constructed a signature for type 2 diabetes based on 50 genes, then used datasets to screen 3,852 compounds for drugs that potentially reverse disease. The study was published in Science Translational Medicine. The team found that on average, participants who received sulforaphane had 10% lower blood glucose levels those in the control group (who received placebos). The largest drop was reported for obese participants with "dysregulated" diabetes, whose baseline glucose levels were the highest. It's also believed to reduce the chances of complications developing in the eyes or kidneys, the team reports. Sulforaphane lowers blood glucose levels in a completely different way from metformin. The latter makes cells more responsive to insulin, making them clear more of the surplus sugar from the blood, so they sponge more surplus glucose out of the bloodstream. Sulforaphane, by contrast, lowers the quantity of the sugar injected into the bloodstream in the first place by suppressing the activity of liver enzymes which drive glucose production. For this reason, Rosengren thinks the broccoli extract is complementary to metformin, not competitive. But he points out that many people with diabetes can't take metformin because of kidney complications, so the broccoli extract could be an ideal substitute in these cases. 'When you are fasting the liver continuously produces glucose. When you eat this production is turned off by insulin. In obese individuals the liver becomes insensitive to this normal regulation and starts producing more glucose than is actually needed. This could lead to elevated fasting blood glucose and manifest diabetes'. 'The most important therapy for type 2 diabetes is lifestyle changes - such as eating healthily and being physically active. But this also needs to be complemented by drugs', added Rosengren.